Some of our students are orphaned or their families are unable to pay for college. Through generous donations we are able to offer a scholarship program at St. Scholastica College. With the assistance of the scholarship these students are able to continue their education. 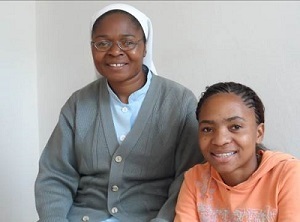 Sister Daniela and her sister, Sarah were orphaned at a very young age. They were left to fend for themselves. With our assistance, Sarah was able to graduate in August 2013. She is now employed as a lab technician. Clarence and his family were unable to afford the costs for him to attend architectural school. 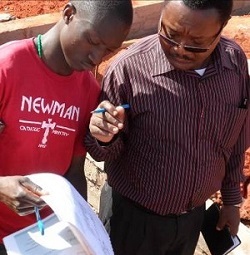 With the scholarship program, Clarence was able to finish his architectural technician degree. He is now supervising our school, orphanage and convent projects.